All PCB Lab Items for college. Material : Poly Propylene sheet. All construction material are corrosion free. Proto resist on Copper Clad Laminates. 1.5 Liters for dye solution. ACompact tabletop high speed drilling machine. 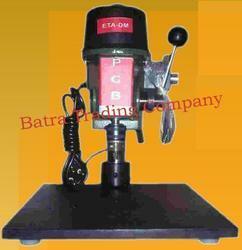 Drill holding by precision chuck with lapped jaws. Mains operated AD/DC motor - direct drive/belt drive. Motor Speed : up to 14,000 RPM at no load . Motor Speed : up to 20,000 RPM at no load. Range :0.6 to 3.0mm. Metal base. Electrical Power : 230V/50Hz, 5 Asocket required. 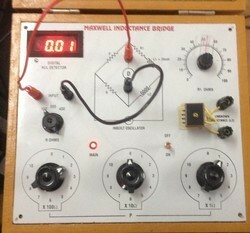 Being the most respected organization guided by experienced and knowledgeable professionals, we provide an enormous assortment of Maxwell Inductance Bridge. 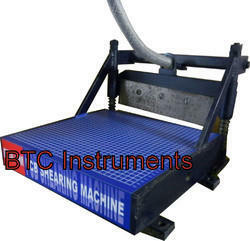 This instrument is manufactured under the visionary directions of skilled professionals using superior grade components and the latest techniques in adherence to set industry norms. 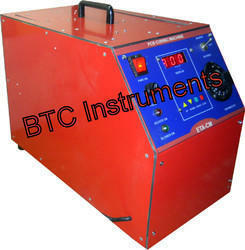 Our offered instrument is used to measure unknown inductor in terms of calibrated resistance and capacitance. 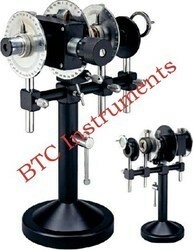 The instrument consists of two - round scales. One with index and the other with vernier. The first scale (index scale) is for tuning the analyser into the azymuth. The Second scale (Vernier Scale) is for measuring the degree of orientation of a wedge box. Apparatus required:Babinet compensator, white light source, quarter wave plate, chock power supply, box polariod eye piece, reding lens, plumb line. 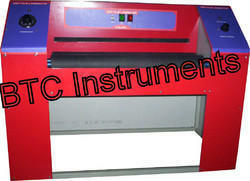 Looking for PCB Lab Instrument ?